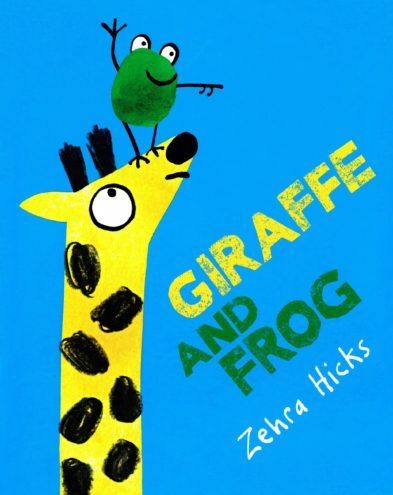 Zehra Hicks is an illustrator, writer and designer. 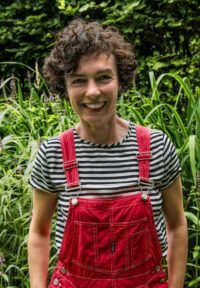 After graduating from the University of Northumbria with a first class degree in Fine Art, Zehra worked as a graphic designer before becoming a tutor at Chelsea College of Arts. 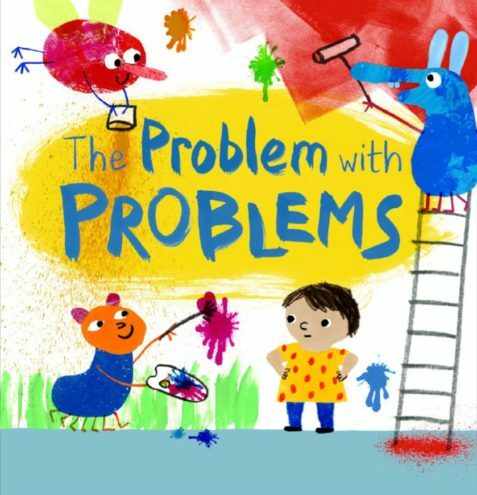 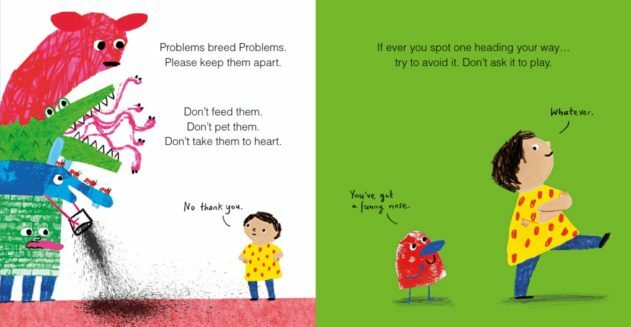 Her debut picture book, The Boy Who Hated Toothbrushes (Macmillan), was highly commended for the Macmillan Prize for Illustration, won the Heart of Hawick Award 2012, and was shortlisted for the Read It Again! 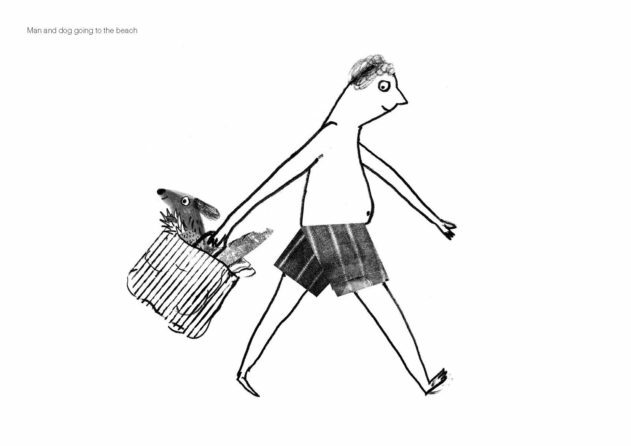 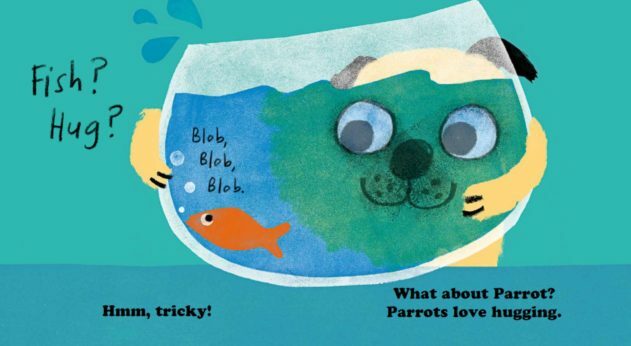 Picture Book Award. 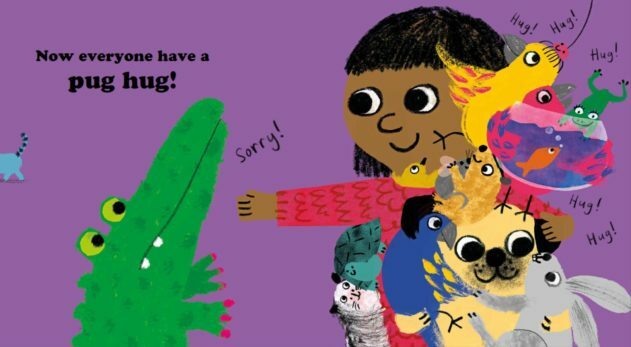 Her third picture book, All Mine! 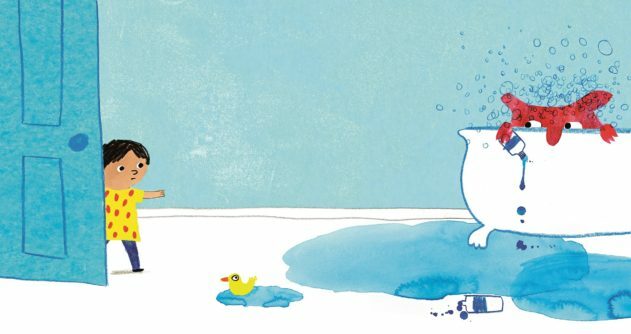 (Two Hoots), was nominated for the Kate Greenaway Medal. 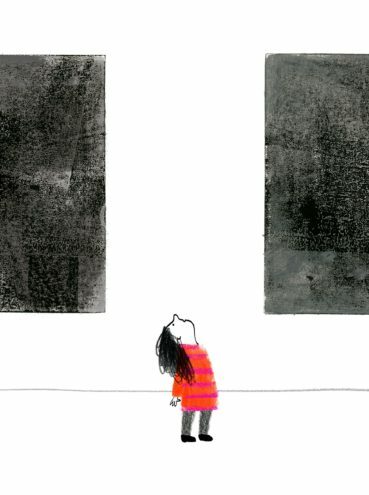 Her work has been published in China, Taiwan, Korea, Portugal, Denmark, Mexico, Israel, and Brazil. 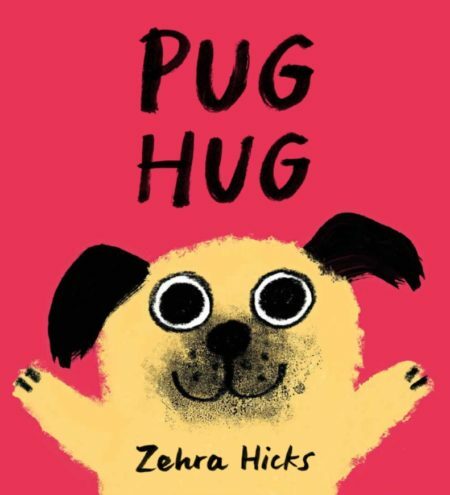 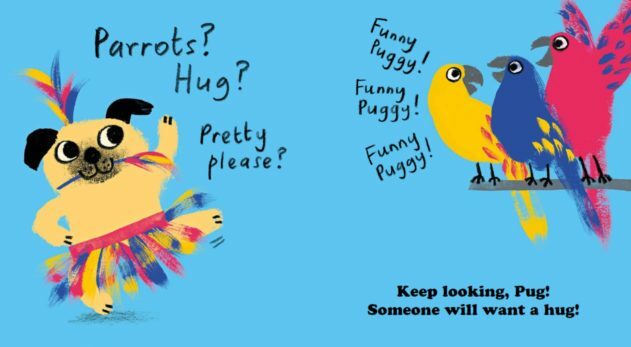 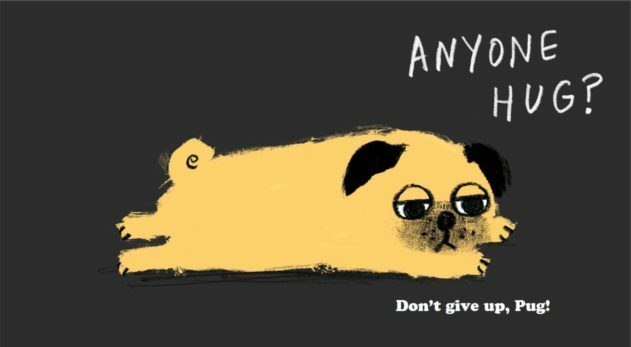 Zehra's latest picture book, Pug Hug (Hodder, February 2020), tells the story of rescue dog Pug as he waits for a new owner and a loving hug. 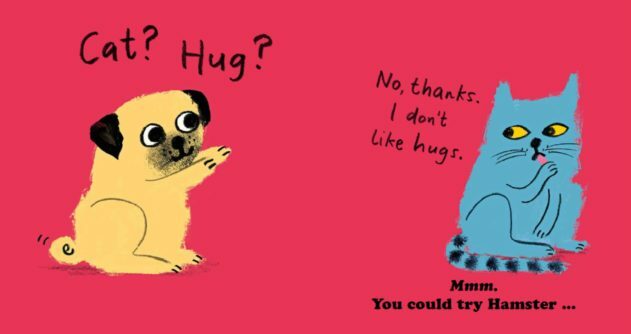 But no matter how hard he tries, he can't seem to get a hug anywhere. 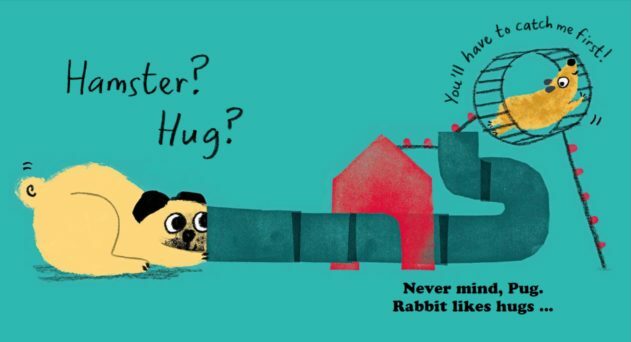 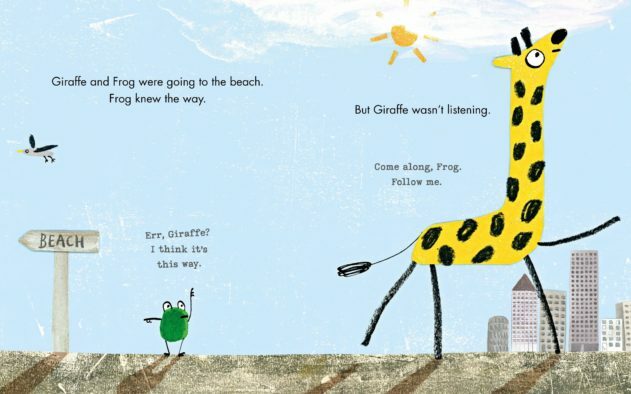 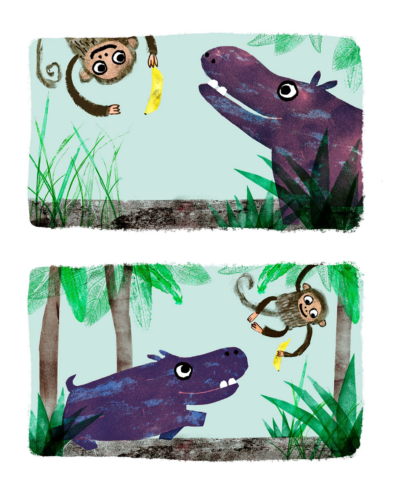 When Croc offers a hug, Pug jumps at the chance - but Croc has plans of his own… Can Pug escape in time to find a genuine hug? 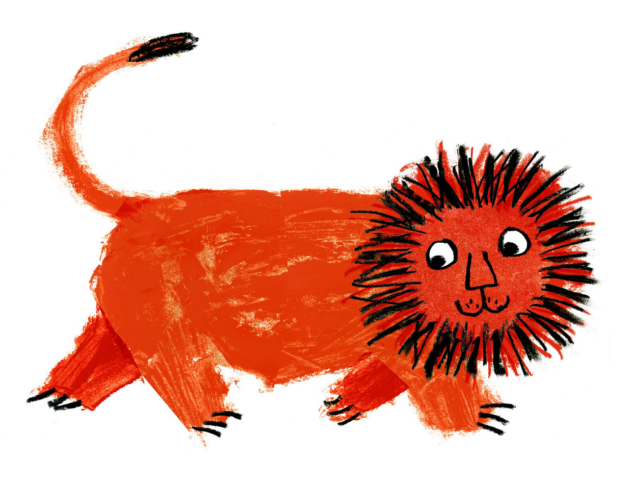 Zehra lives with her family in Epsom, Surrey. 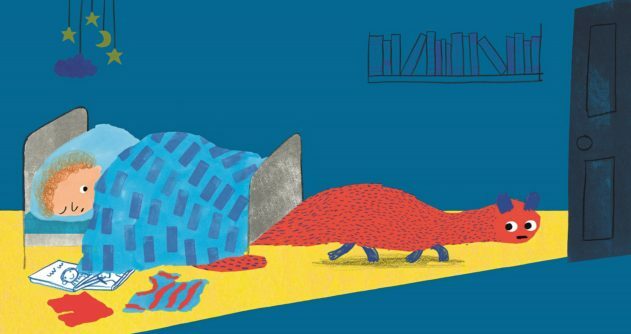 She has a unique approach to illustration: making use of sticks, bamboo and potatoes to create her books, she does not allow herself to be limited to pencils and paint. 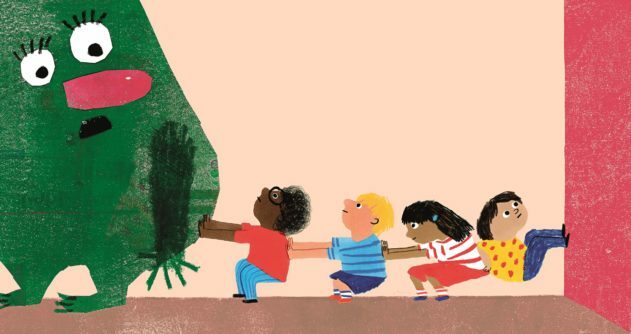 Sometimes her two children help, too.